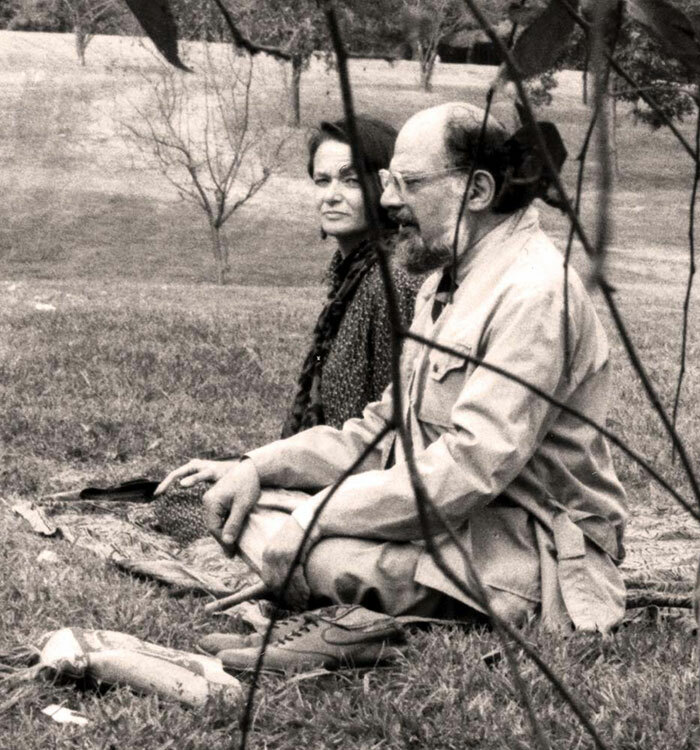 Founders of the Naropa Institute, Chogyam Trungpa Rinpoch, and Allen Ginsberg, as Dharma Lion Peace Heart, are joined by their colleagues in a discussion about the lineage of poetry, from the perspective of Tibetan Buddhist traditions. This conversation with Anne Waldman, Diane Di Prima, Duncan Campbell, and John Giorno fundamentally informs the foundations of their school and as such, can be seen as a critical insight into understanding the practices of these groundbreaking poets and their institution. Each poet introduces themselves with their American and Buddhist name; together they observe the practical structures of their poems, as well as emphasize the importance of meditation. For them, meditation is poetry; a vessel for introspection and an opportunity to reclaim consciousness.